It doesn’t get any better than this. 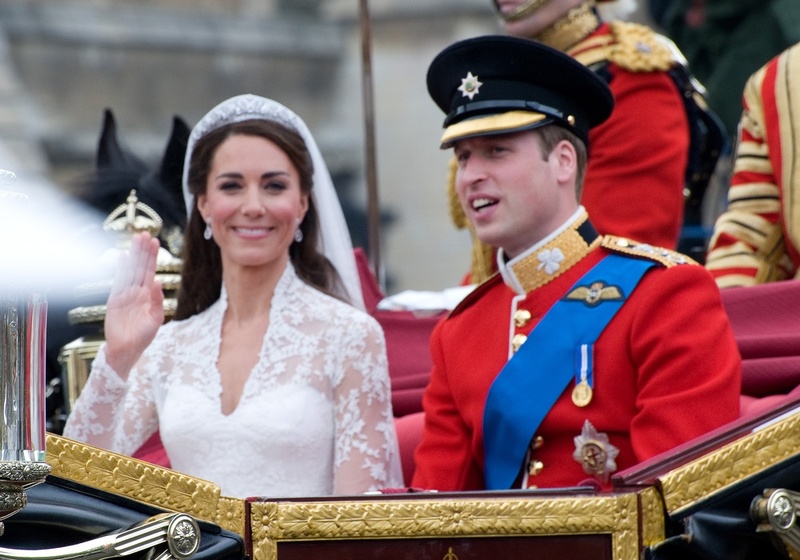 Middleton’s ring has done double duty, first stunning the world in 1981, when Prince Charles presented it to Middleton’s late mother-in-law Princess Diana. Arguably the most famous oval halo engagement ring in the world, the ring is unique with its central 18-carat oval-cut sapphire surrounded by a halo of diamonds. 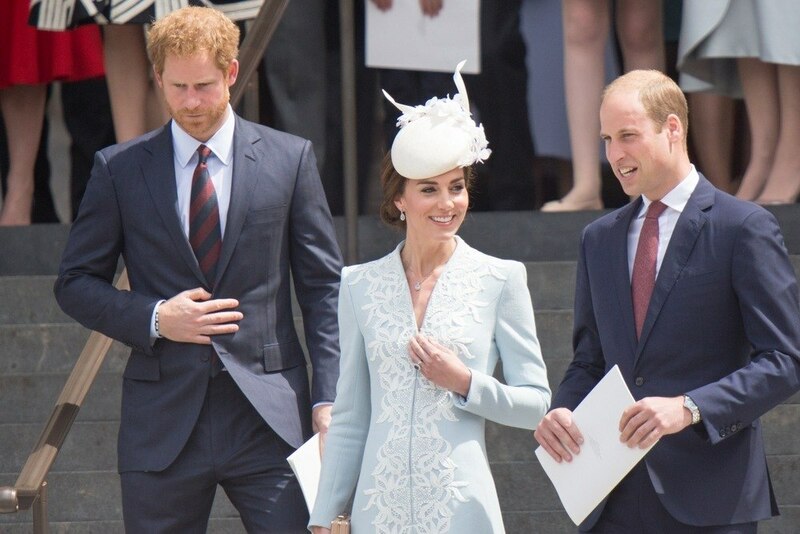 When Prince William gave the blue ring to Middleton in 2010, it carried on the memory of his beloved late mother and allowed the stone’s timeless beauty to shine on the hand of a new member of the royal family. Katie and Tom’s marriage might have bombed harder than his latest Jack Reacher film, but her engagement ring still gets nominated for an Oscar in this competition. The central five-carat Edwardian style oval cut diamond was a stunner on its own, but its setting, a split-shank with six additional carats of diamonds in the halo and the band, elevated it to a truly remarkable oval halo engagement ring. The split-shank and Edwardian style setting created a ring with a classic vintage look that complemented the less traditional shape of its center stone. Katie and Tom may not have been timeless, but her ring sure is. Prinsloo and her hubby Adam Levine may be the height of contemporary cool, but her engagement ring is a stunning throwback. 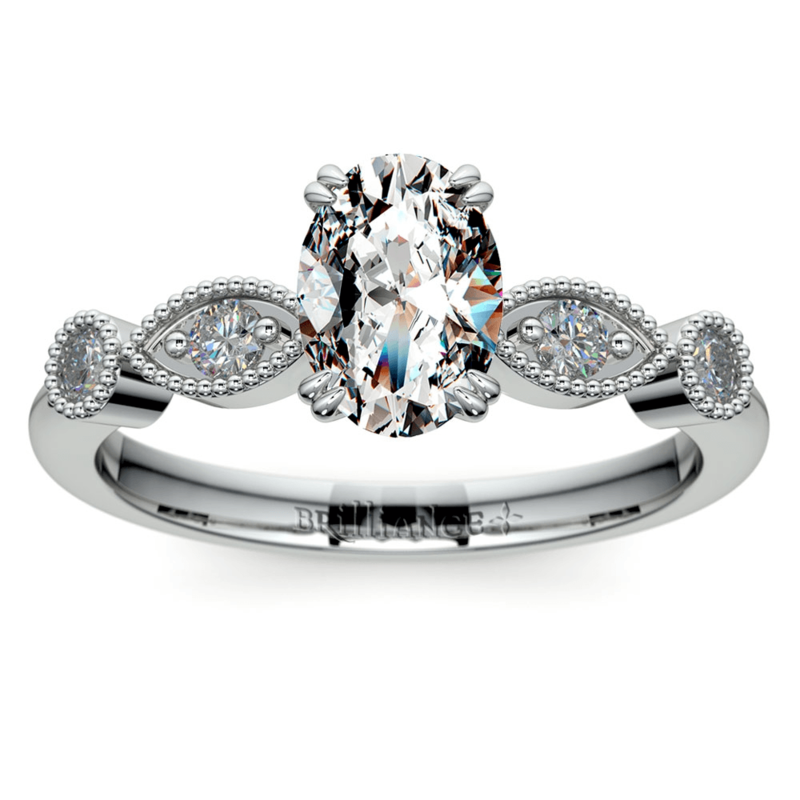 The vintage oval engagement ring features an oval center stone in a raised antique setting. The oval stone lays horizontally in an east-west style setting rather than vertically on her finger, giving the vintage ring an even more unique vibe common among statement pieces and fashion jewelry of the 1930s from which it originated. Though the raised antique setting isn’t the same as a contemporary halo design, it’s a unique vintage twist on a halo setting with small diamonds encircling the center stone in its deeper setting. Rimes’ marriage to Eddie Cibrian might have started out scandalous (they were both married to other people when their relationship started), but her five-carat oval halo diamond engagement ring quieted any naysayers. The stunning oval-cut stone is surrounded by a dainty halo of diamonds that make it the perfect ring for Rimes’ happily-ever-after. Placed in a rose gold fleur-de-lis setting featuring tiny rose cut diamonds in the band, the ring has a uniquely warm tone that glows as much as Rimes does wearing it. Rose gold is the perfect metal to give your ring a warmer, softer feel, rather than the colder, brilliant sparkle of silver, white gold, or platinum. No matter the star wearing the ring, oval halo engagement rings are unique and glamorous statement pieces. Whether you seek to imitate one of these famous rings or create a style all your own, you can’t go wrong with a halo oval cut ring! Want more inspiration? 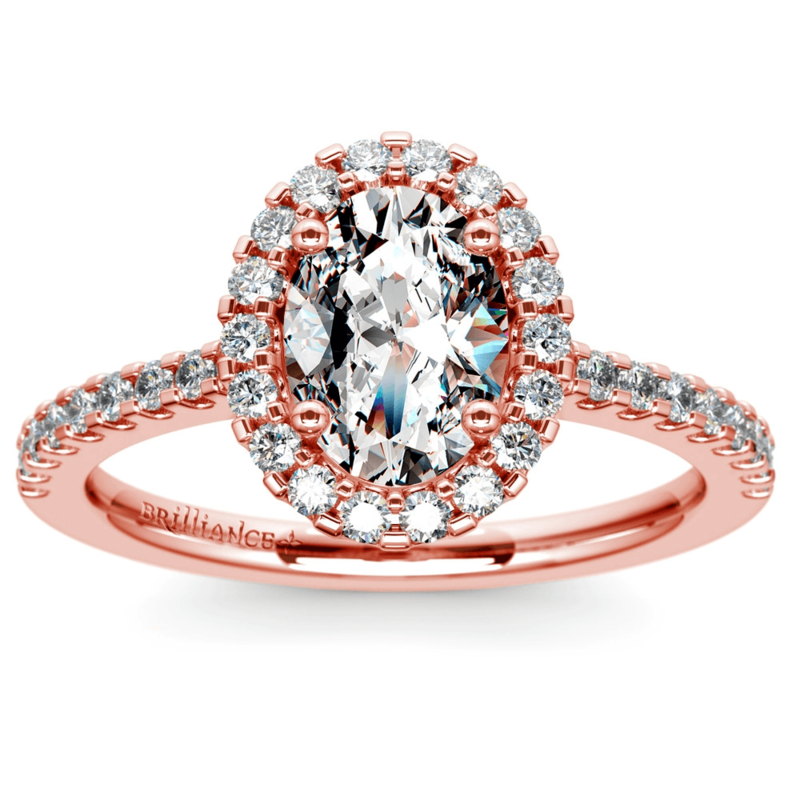 Check out the Brilliance guide to picking the best style for your oval engagement ring!